This morning at around 8AM, I made a brief stop at Cooling Sod. Besides the hundred of Killdeer present, a handful of American Golden-Plover were present at the largest sod field just west of Wheeling Rd ( 42.221841° -88.923233°). After a couple of re-scans, a single Buff-breasted Sandpiper materialized out from behind the weedy margin of the sod. It was very active and disappeared in the fallow section of the field after about a minute. Around 4:30 p.m. today (Saturday) I drove over to Nieman Pond and then to Ridott to look for shorebirds with the western light at my back. Nieman Pond had quite a few species, the highlight being 16 Stilt Sandpipers, almost all of which were juveniles. Nieman Pond also had Pectoral, Baird’s, Least and Semipalmated Sandpipers, 1 Short-billed Dowitcher, plus Lesser Yellowlegs and, of course, Killdeer. At Ridott, there were another 9 Stilt Sandpipers (1 adult) plus Pectoral, Baird’s, Semipalmated, Least and 1 juvenile Western Sandpiper, and both species of yellowlegs, plus Killdeer. 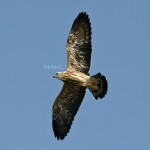 Friday I saw the juvenile MIKI fly for the first time a very short route from a tree back to the nest. Sunday, I was able to get photos of this new kite flying, and have posted the best shots. There were four MIKIs flying over the school playground at one time, including the juvenile. 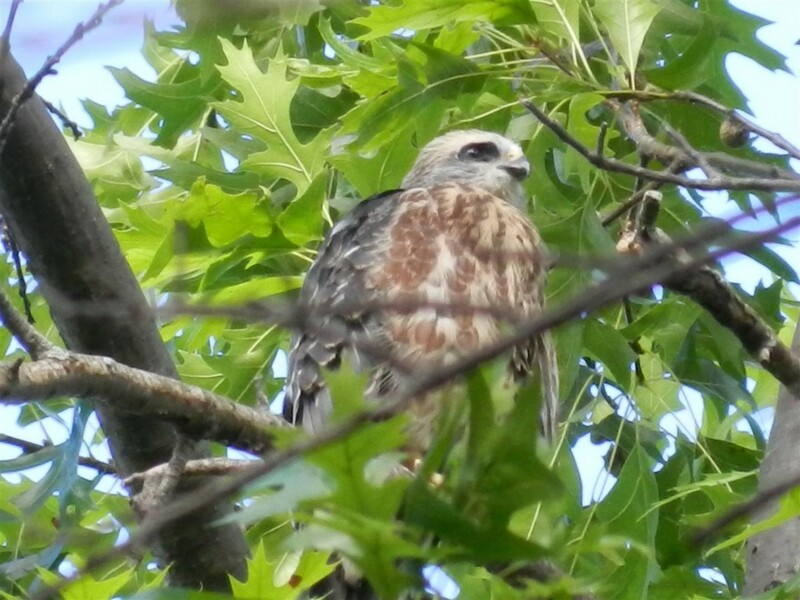 At 10 am I am told that there were 5 adult MIKIs flying and were joined by a Broad-winged Hawk. 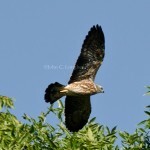 Today the juvenile flew around the arboretum many times, landing in various trees, preening and sunning itself. A Cooper’s Hawk, juvenile, did harass the young MIKI but the parents continued to protect it and of course are still feeding their young offspring. I heard the young MIKI call for the first time today as well, its vocalization is not like MIKIs in past year’s where they are loud and extremely vocal, this young bird’s cry for food is not nearly as loud. School begins Wednesday for the students and teachers so if you visit during the week just be aware that you could get trapped in the parking lot when the buses either drop off students or pick them up. 4 Black Terns were flying and hunting over Pierce Lake at Rock Cut SP at 12:15-1:15 p.m. today. All 4 birds were in partial molt to basic plumage. The calendar of events is now live and can be viewed here. You can also download a PDF of the events. We hope to see a lot of birders at all these wonderful field trips and meetings! !